Asthma is a problem for numberless children, and adults, in our Phoenix AZ Valley. Dust Mites are estimated to be a factor in 50-80% of Asthmatics. Dust Mites also cause allergic reactions, and are estimated to cause reactions in 500 million people worldwide. Dust mites feed on sloughed HUMAN and pet (except for cats) skin, spilled food, fungi, and also pollen. Sloughed skin is mostly found in: bedding, mattresses, upholstered furniture, carpets, and stuffed animals. Bedding and mattresses provide the most conducive conditions for dust mites, because that is where people spend the most time. 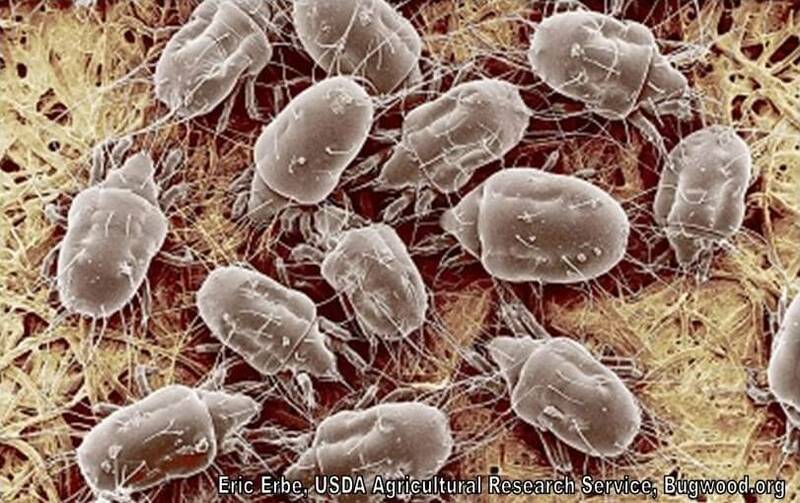 A typical used mattress is estimated to have 100,000 to 10 million dust mites in it. Stuffed furniture is the second most conducive area for Dust Mites. The most effective method for Dust Mite Control is to remove conducive conditions, sanitize, and moisture control. Responsible Pest Control Mesa- Making HAPPY CUSTOMERS in Mesa, Chandler, Scottsdale, Phoenix, Glendale, Gilbert, Queen Creek, Maricopa, & all surrounding areas.